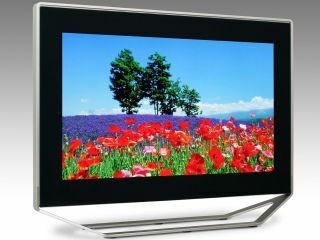 SED TVs return to challenge LCD and plasma? Canon could be set to storm the HDTV market in 2007 by reviving its flagging SED TV technology. These surface-conduction electron-emitter display (SED) televisions promise to eclipse the colour quality and contrast ratios found in large high-end plasmas, while also beating the cheaper LCD TVs on price. Canon was actually ready to launch its SED TVs a year ago. It had partnered with established manufacturer Toshiba, but things were put on hold after the patent-wielding Nano-Proprietary kicked up a fuss. But now, after a year of silence in the SED world, Bloomberg reports that Canon is developing its own technology to take SED TVs to market all by itself. The initial reports come from the Asahi website, which says Canon plans to mass produce the new TVs under its own brand name. The site doesn't, however, cite any sources for the story. SED televisions use a combination of flat panel and CRT (Cathode Ray Tube) technology to deliver better quality than is possible with conventional LCD and plasma TV tech. CRT screens (the fat TVs most of us still have at home) have one cathode ray tube inside them to produce light and colour. SED screens, on the other hand, have the equivalent of one nano-cathode ray tube behind every single pixel. This enables the screens to be as thin as current LCD sets, but with the colour reproduction and quality of plasma and CRT displays. Canon had been the official partner of Nano-Proprietary in the project. But Nano-Proprietary sued Canon after it controversially invited Toshiba to the SED party; Toshiba knew how to make flat panels and Canon needed help. NP said that Canon had no right to share the technology with Toshiba, sued, and won, forcing Toshiba out of the frame. This brought Canon's involvemement in the project to a premature standstill too. But if these reports are true, Canon is replacing Nano-Proprietary's technology with its own, so we could see SED TVs on the market before the end of 2008.